Updated - December 27th 2015 - This article was 2014, and according to the article here, the action had an expiration data of September 2015. I cannot confirm if federal raids were in fact suspended during that period of time. Despite this, the points I bring up below are still valid. Yes you just read that right. 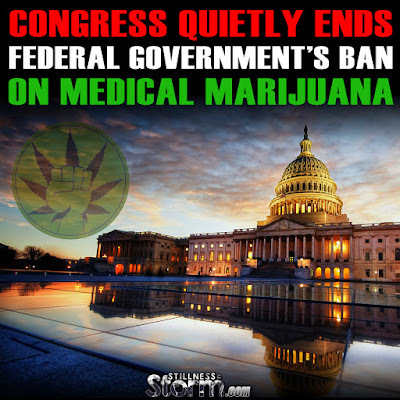 The federal government just passed a bill that essentially ends the federal ban on medical marijuana. The fact that the states can pass legislation to legalize marijuana and the federal government can override their lawfully ratified decisions just underscores the lawlessness of our times. The term law is synonymous with legal codes, government policy and official decrees, but in reality, none of these things are law in a true sense, they are merely offers to contract. They will have the force of law when consent is issued by an individual or group. True law is always consistent and immutable. Therefore, a state which places a measure on the ballot and actually receives a majority vote from the people, is a legitimate and de Jure agreement, having the full force of law for those voters. Conversely, a federal decree issued in the form of an executive order was not put to a vote and no explicit consent was given from the people on which it influences, making it an invalid lesser instrument. And since the people never issued consent, violence in the form of force of arms must be used against them. Executive orders are a de facto proclamation from a despotic ruler, and as such requires force of violence to uphold. When a leader takes an action in contrast of a lawfully ratified agreement of the people, then that leader is now a tyrant, operating unlawfully, losing any claim of legitimacy. Today these lawful realities are little understood by the average person, but they are well known within the highest circles of government. And what can be seen over the past 25 years of marijuana legalization struggles is that a well-organized group of committed individuals can change the status quo. The people have always been the source of legal power in the world and this recent move to end the federal ban effectively concedes defeat of the government to the people. Let this further embolden us to take greater actions in our lives, to say NO to draconian government policies and yes to a well educated and socially active population capable of self-governance. I suspect this decision will be the first step in a wave of reforms that eventually leads to total legalization of marijuana. And we would do well not to blindly accept such reforms, ensuring that no further draconian influences hinder the free and fair use of this life-giving plant. Pot advocates had lobbied Congress to embrace the administration's policy, which they warned was vulnerable to revision under a less tolerant future administration. More important, from the standpoint of activists, Congress' action marked the emergence of a new alliance in marijuana politics: Republicans are taking a prominent role in backing states' right to allow use of a drug the federal government still officially classifies as more dangerous than cocaine. "This is a victory for so many," said the measure's coauthor, Republican Rep. Dana Rohrabacher of Costa Mesa. The measure's approval, he said, represents "the first time in decades that the federal government has curtailed its oppressive prohibition of marijuana." Congress for years had resisted calls to allow states to chart their own path on pot. The marijuana measure, which forbids the federal government from using any of its resources to impede state medical marijuana laws, was previously rejected half a dozen times. When Washington, D.C., voters approved medical marijuana in 1998, Congress used its authority over the city's affairs to block the law from taking effect for 11 years. Bloomberg's Olivia Sterns reports on the New York Times' advocacy of the legalization of marijuana. "The war on medical marijuana is over," said Bill Piper, a lobbyist with the Drug Policy Alliance, who called the move historic. "Now the fight moves on to legalization of all marijuana," he said. "This is the strongest signal we have received from Congress [that] the politics have really shifted. ... Congress has been slow to catch up with the states and American people, but it is catching up." 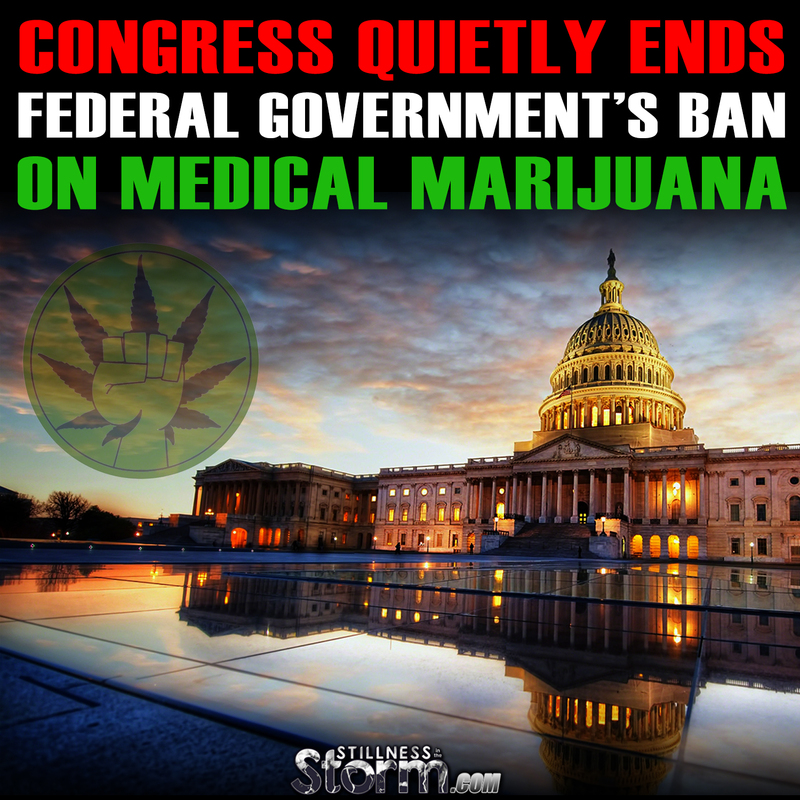 "The war on medical marijuana is over. Now the fight moves on to legalization of all marijuana." "The federal government should never get in between patients and their medicine," said Rep. Barbara Lee (D-Oakland).